Heat ghee in a pan, once it is hot turn the heat to low-medium and add besan flour and stir well. Roast besan in low to medium heat till the nutty aroma comes and besan turns light golden brown. After roasting for 15-17 minutes add mawa powder and keep stirring and roast for another 5-7 minutes. Now the besan and mawa mixture turns non-sticky and fragrance comes, add cardamom powder, sliced almonds or finely chopped nuts. Stir well and remove from the stove and leave it for 1-2 minutes. After it is cooled for a while, add the powdered sugar and 1-2 tbsp milk and stir well. And then make small or medium sized besan ladoos from the mixture. 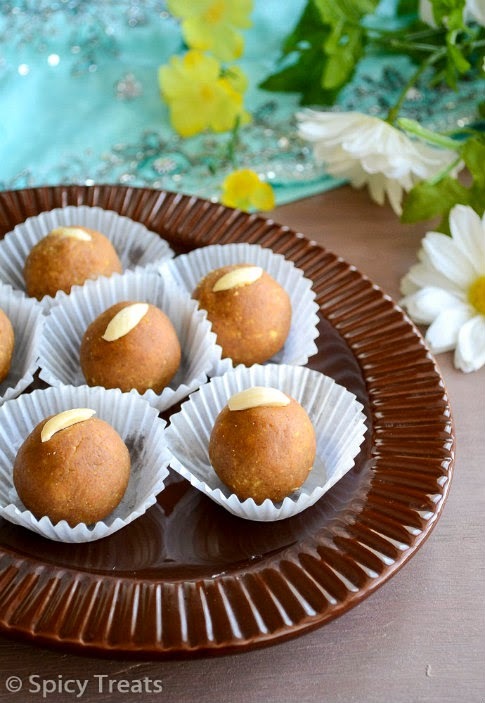 Serve besan ladoos immediately or store them in an airtight container. 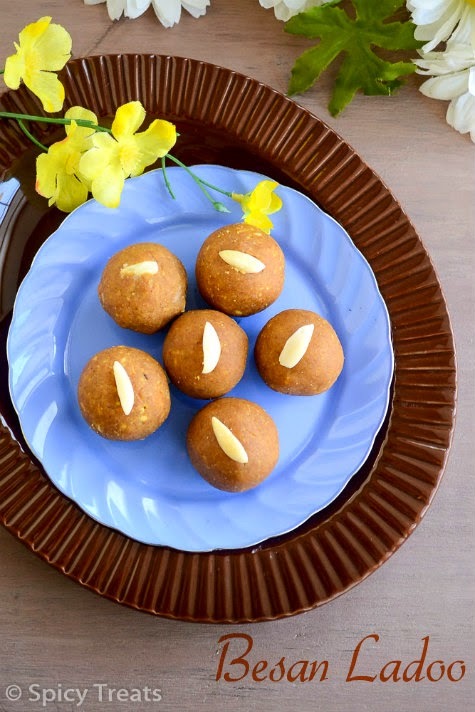 Adding milk lessen the shelf life of the ladoos, but it gives nice aroma and rich taste. 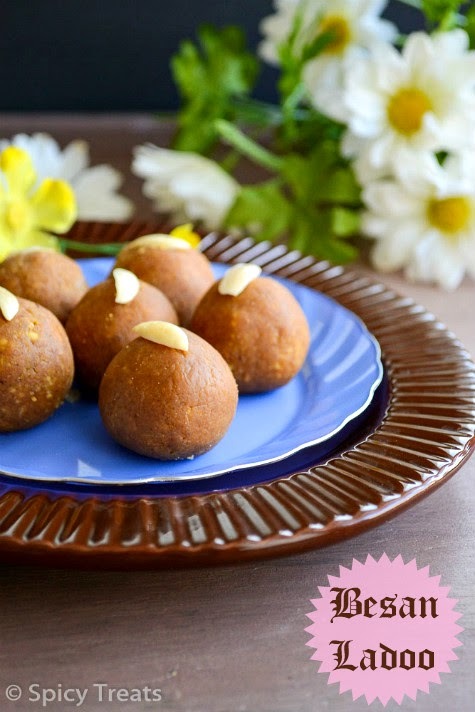 For this recipe you can add 1/2 cup to 3/4 cup ghee and avoid milk and mawa powder. 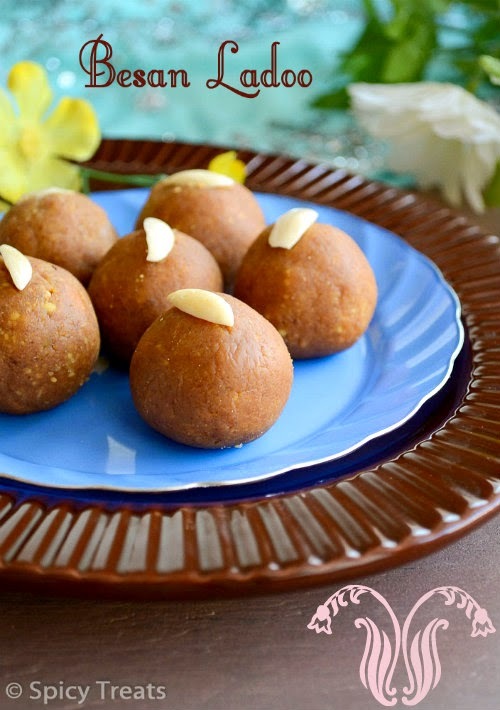 In the last step, instead of milk you can also add couple of tbsp of ghee and shape the ladoos. Besan ladoo looks so soft and delicious. Perfect festival sweets. 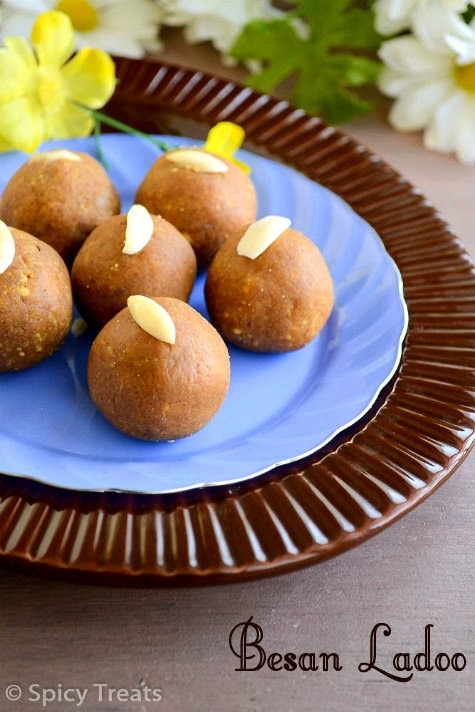 laddus look really nice and tempting.